This is the fourth part of my summer holiday in Japan in May and June 2010. It will focus on our days to Izu-Atami, Harajuku and Akihabara, and our trip to the Studio Ghibli Museum in Mitaka and another visit to Haneda Airport. The next day, which was on Saturday (5 June), we woke up at around 9.15 a.m. to prepare for another day of rail travel. Our JR Passes were due to expire on that day as it was the 7th and last day to use it. We planned to take a day's trip to Atami on this day. After washing up and getting dressed up for the day, we hailed a taxi to Tokyo Station at around 10.10 a.m.. The journey between our apartment and Tokyo Station took approximately 25 minutes. As soon as we arrived at Tokyo Station 10.35 a.m., we went to the Shinkansen ticket office to purchase our Green Car Shinkansen tickets to Atami. According my mum, we would be taking the Shinkansen KODAMA Superexpress No. 649 bound for Shin-osaka between Tokyo and Atami. Our train would leave Tokyo at 10.56 a.m. from Track No. 19. We then went through the ticket gate and purchased some food and beverages from a kiosk located within the Tokaido and Sanyo Shinkansen concourse. KODAMA is one of the train services operating on the Tokaido and Sanyo Shinkansen lines in Japan. The service stops at every station along these lines, making it the slowest train service for trips between major cities such as Tokyo and Osaka. The KODAMA service usually travels over shorter routes (e.g. Tokyo to Nagoya, Tokyo to Shin-osaka, Shin-osaka to Hiroshima), and some shorter late-night runs. Travellers generally use KODAMA trains to travel to and from smaller cities such as Atami and Kakegawa. However, when travelling between major cities, many travelers will opt to take either a NOZOMI or HIKARI train whenever possible. At many intermediate stations, KODAMA trains generally wait for faster services such as the NOZOMI, MIZUHO, HIKARI, and HIKARI Rail Star to pass through before continuing on with their journeys. The service currently uses 6-car 100 series (until 16 March 2012), 300 series (until 16 March 2012), 8-car 500 series, 8-car and 16-car 700 series, and N700 series trains as its rolling stock. Green Car (first class) accommodation can be relatively difficult to find on the majority of the KODAMA trains operating on the Sanyo Shinkansen. Also, from the start of the revised timetable on 17 March 2012, on-board trolley services will no longer be available on KODAMA services running on the Tokaido Shinkansen. Trolley services are also not available on KODAMA services running on the Sanyo Shinkansen. On the Shinkansen lines, my most favourite trains are usually ANY train that is of the fastest service. One such example is the NOZOMI service that operates on the Tokaido and Sanyo Shinkansen lines. However, I did not mind taking the KODAMA service, as the journey to Atami would be a short one. We then went up to Track No. 19 to catch our train to Atami. Our train was operated by a JR Central 700 Series Shinkansen 'C' set on that day. The train had arrived from Shin-osaka as the Shinkansen HIKARI Superexpress No. 508 earlier at 10.40 a.m., and would later become the Shinkansen KODAMA Superexpress No. 649 bound for Shin-osaka. Here are some pictures I took while waiting for boarding. After the cleaning process was completed, we were allowed to board the train at around 10.50 a.m., and boarded the Green Car carriage No. 8 to reach our seats No. 14A, 14B, 15A and 15B respectively. This was just in good time for a 10.56 a.m. departure. Here are some pictures taken inside the cabin. At exactly 10.56 a.m., we finally left Tokyo on the Shinkansen KODAMA Superexpress No. 649 bound for Shin-osaka, for a short 50-minute journey to Atami. These are some pictures and a video of the sector between Tokyo and Atami. After travelling for 50 minutes from Tokyo, we finally arrived at Atami Station at 11.46 a.m., on Track No. 6. We then alighted the train, and I managed to take a picture and a video of the train's departure from Atami. Atami Station is the central railway station serving the city of Atami, Shizuoka, Japan. It serves as an interchange station for the Ito Line, Tokaido Main Line, and the Tokaido Shinkansen. The Shinkansen seldom stops in Atami, with a majority of the trains passing through the station without stopping. All KODAMA trains, as well as a very small number of HIKARI services make stop here. After I took a picture and the video, we walked over to a nearby car rental area to rent a car for the afternoon. We passed by a busy shopping street on our way to the car station. Here are some pictures I took before renting our car. After we rented our car from the car rental area near Atami Station, we drove around to explore Atami and the Izu Peninsula. Here are some pictures which will explain our day here. After spending an adventurous day in the coastal city of Atami, we returned the car back to the car rental area and walked over to Atami Station. My mum then went to the JR Ticket Office to purchase our Shinkansen tickets for the journey back to Tokyo. According to her, we would be taking the Shinkansen HIKARI Superexpress No. 480 bound for Tokyo, which would leave Atami Station at 7.01 p.m. from Track No. 7. We then went up to Tokaido Shinkansen Track No. 7 (the Shinkansen platform towards Tokyo) to catch the Shinkansen HIKARI Superexpress No. 480 bound for Tokyo. Here are some pictures and a video that I took while waiting. After approximately 20 minutes of waiting, the Shinkansen HIKARI Superexpress No. 480 bound for Tokyo finally arrived at Atami Station at 7 o' clock on Track No. 7. The train was operated by a JR Central 300 Series Shinkansen trainset. We then boarded Green Car carriage No. 9 and settled into our seats No. 5A, 5B, 6A, and 6B for the short 39-minute journey to Tokyo. We then pulled out of Atami Station at 7.01 p.m., as planned. Here are some pictures and videos I took for the final sector between Atami and Tokyo. Also, this would be our final ride on the 300 Series Shinkansen, before their official retirement on 16 March 2012. The 300 Series Shinkansen was our most frequently-used Shinkansen type since we first came to Japan in September 2001. After a short 39-minute journey from the coastal city of Atami, we finally arrived back at the Tokyo terminal station at 7.40 p.m., on Track No. 15, as scheduled. We then went over towards Daimaru Department Store to see what groceries we needed to purchase. Here are some pictures I took after arriving at Tokyo Station. As soon as we had exited Tokyo Station, We went to the supermarket section of Daimaru Department Store to see if any more groceries were needed. When we felt that we need not purchase anything, we decided to head back to the Somerset Serviced Apartments Roppongi Tokyo via a taxi, departing Tokyo Station at around 8.20 p.m..
After a 20-minute taxi ride from Tokyo Station, we finally arrived back at the Somerset Serviced Apartments Roppongi Tokyo at 8.40 p.m.. Heading back up to our room on the sixth floor, we had a shower and changed up for the night. We were then in bed by around one or two o' clock that night. The next day, which was Sunday (6 June), we woke up relatively late at around very close to 12 noon. As usual, we started off by having a good shower and changing into our day's attire to commence the day. Knowing that it would just be a day around downtown Tokyo, we decided to go exploring around Harajuku, a famous shopping paradise in Shibuya-ku, Tokyo. Without wasting any time, we prepared all our necessary belongings for the day, and went out at around 2.45 p.m..
After leaving the Somerset Serviced Apartments Roppongi, our itinerary was to take the Toei Oedo Subway Line between Roppongi and Kokuritsu-kyogijo Station, which is located near Harajuku in Shibuya-ku. With that, we walked over to Roppongi Station, and went further downwards towards the Toei Oedo Line concourse of the station. At the Toei Oedo Line concourse of Roppongi Station, we purchased our subway tickets towards Kokuritsu-kyogijo Station, and went down to Track No. 2 (the Hikarigaoka-bound platform) to catch our train to Kokuritsu-kyogijo. Once we were on Platform No. 2 of the Toei Oedo Line section at Roppongi Station, a Hikarigaoka-bound Oedo Line Subway train finally entered Roppongi Station at 3.10 p.m.. We then boarded the train and pulled out of Roppongi Station for a short five-minute journey towards Kokuritsu-kyogijo Station. After a short five-minute ride on the Toei Oedo Line from Roppongi Station, we were finally at Kokuritsu-kyogijo Station at 3.15 p.m.. We then alighted the train, and took the escalator up to the station concourse. Upon exiting the station, we walked along the roadsides, and were finally in the busy hustling and bustling shopping street of Harajuku. After exploring through the hustling and bustling shopping district of Harajuku, we finally found an underground noodle restaurant located below a cafeteria called Lavazza - Italy's Favourite Coffee. We then went into the noodle restaurant for a late lunch. While there, I had a nice warm bowl of ramen noodles for a late lunch. As soon as we had finished our meals, we went out for further explorations into the busy streets of Harajuku. After spending the entire afternoon exploring the hustle and bustle of the Harajuku shopping district, we decided to head to Akihabara to spend the rest of the evening. To do this, we drew up the itinerary of taking the JR Yamanote Line from Harajuku to Akihabara. With that, we headed down towards Harajuku Station, and went to a ticketing machine to purchase our JR Yamanote Line tickets towards Akihabara. After purchasing our railway tickets, we went down to the JR Yamanote Line Track No. 1, which was the inner loop of the line. After we got down to the platform, we waited for the train towards, Shinagawa, Tokyo and Akihabara on Track No. 1. The JR Yamanote Line Inner Loop train finally entered Harajuku Station at 6.03 p.m. on Track No. 1. Immediately, we boarded the train and found a few seats to rest ourselves. It then pulled out of Harajuku Station after a while for another round loop on the JR Yamanote Line. The journey between Harajuku and Akihabara lasted for approximately 29 minutes. Unfortunately, for memory-saving reasons, I didn't take any pictures and videos since this was just a normal commuter line. Nevertheless, after a 29-minute journey from the hustle and bustle in Harajuku, we finally arrived at Akihabara Station at 6.32 p.m.. With that, we alighted at the station and went further out into the shopping district of Akihabara to do some shopping. After spending some time shopping, we were finally getting hungry, so we decided to head to the Niku no Mansei Restaurant Building for dinner at around 8 o' clock. This time, we decided to try out the shabu-shabu, known as Mikage, to see if it was of good quality. With that, we went towards the restaurant building, and took the elevator up towards the ninth floor, where the shabu-shabu and sukiyaki section was located. Upon arrival at the ninth floor, we requested a table for the four of us. A waiter then showed us to a table and distributed the food and beverage menus to us. We then made a review through the menus before placing our dinner orders. After reviewing through the food and beverage menus of Mikage, a waitress finally came by our table to take our dinner orders. We ordered several accompaniments to a shabu-shabu steamboat dinner. The shabu-shabu hot clay pot was then brought to our desk and heated, along with several appetizers to commence before the main course. That night, we had a shabu-shabu dinner. At the Niku no Mansei, the shabu-shabu was not as good as the yakiniku, which we had just five days earlier, as my mum's home-made shabu-shabu has much better quality. The quality of the meat used at Mansei Bokujo, the yakiniku place, has much more taste and marbling in the meats. After a not-so-special dinner at Mikage Shabu-shabu and Sukiyaki Restaurant, we were all stuffed to the brim. As the clock was already showing 9.20 p.m. and it was getting late, we decided to head back to the Somerset Serviced Apartments Roppongi Tokyo. To do this, we decided to take the JR Yamanote Line from Akihabara to Tokyo, and then we from Tokyo Station, we would get a taxi back to our apartment. With that, we paid up our bill and took the elevator all the way down to the ground level of the restaurant tower. After exiting the restaurant building, we walked across the Mansei Bridge over the Kanda River. After a short 15-minute walk through the lively night hustle and bustle of the busy shopping street of Akihabara, we finally arrived at Akihabara Station at 9.30 p.m.. Once we were in the ticketing concourse of Akihabara Station, we purchased our JR Yamanote Line tickets towards Tokyo Station. As soon as we had purchased our tickets, we went up to the JR Yamanote Line platforms towards Tokyo, Shinagawa and Hamamatsucho. As the previous JR Yamanote Line train had just left the station after we got onto the platform, we had to wait for the next train. After approximately five minutes of waiting, a JR Yamanote Line Inner Loop train finally arrived at Akihabara Station at 9.44 p.m. on Track No. 3. Immediately, we boarded the train and settled down for the short four-minute journey towards Tokyo. The train departed the station after a few seconds. Since this was just a short journey towards Tokyo Station, I only took the interior of the train. After a short four-minute journey from Akihabara Station, we finally arrived at Tokyo Station at 9.48 p.m. on Track No. 5. Knowing that there was still a taxi to catch back towards the Somerset Serviced Apartments Roppongi Tokyo, we walked through the large station concourse and went towards the taxi stand located outside of Tokyo Station. As soon as we were at the taxi stand outside Tokyo Station, we managed to hail a taxi back to the Somerset Serviced Apartments Roppongi Tokyo at around 9.55 p.m.. The entire taxi journey took approximately 20 minutes. Once we arrived back at our apartment at 10.15 p.m., we took the elevator back up to our room suite on the sixth floor. To settle in for the night, we had some supper and had a shower. After a busy day of explorations around Akihabara and Harajuku, we were so tired that we went to bed at around one or two o' clock later that night. The next morning, which was Monday (7 June), we all woke up at around 10.15 a.m.. As usual, we had a shower and changed into our day's attire to commence the day. According to my parents, this would officially be our final day of explorations in Tokyo, Japan before we headed home to Singapore. They also told us that we would be going to the Studio Ghibli Museum located in the city of Mitaka on this day. With all our necessary belongings ready, we left our apartment at around 11.50 a.m.. We would be on a tour group with some visitors from the United States during our visit at the Studio Ghibli Museum. As we were to meet the visitors at the ANA InterContinental Hotel Tokyo at one o' clock, we were feeling rather hungry. Knowing that it was already 12 noon, we decided to have lunch first before heading to the ANA InterContinental Hotel Tokyo. After we walked through the paths by the busy roadways of Roppongi in Minato-ku, Tokyo, we stumbled upon a small restaurant and cafeteria, which was located just nearby the ANA InterContinental Hotel Tokyo. This cafeteria was known by the name of Wolfgang Puck Restaurant & Café. Upon arrival at Wolfgang Puck Restaurant & Café, we requested a table for the four of us. A waiter then directed us to a table, and distributed the food and beverage menus for us to make a good review before we placed our lunch orders. After taking some time to review the food and beverage lunch menu, a waiter came by to take our lunch orders. We ordered several food items that may be to our liking. Soon, we had a filling lunch at Wolfgang Puck Restaurant & Café. After having lunch at Wolfgang Puck Restaurant & Café, the clock was already showing 12.45 p.m.. Knowing that we had to meet the foreign visitors and tour guides in 15 minutes' time, we paid our bill and quickly headed over to the ANA InterContinental Hotel Tokyo. Once we were at the ANA InterContinental Hotel Tokyo, we went into the lobby to wait for the tour guides and American visitors. At exactly 1 o' clock, the United States visitors and the tour guides finally came to the main hotel lobby of the ANA InterContinental Hotel Tokyo. The tour guides then informed us on how we were going to the Studio Ghibli Museum in Mitaka. Firstly, from the hotel, we would catch a limousine bus towards Hamamatsucho Station, where we would take the JR Keihin-Tohoku Negishi Line towards Tokyo Station. Upon arrival at Tokyo Station, we would transfer towards the JR Chuo Main Line Rapid train towards Mitaka. Once at Mitaka Station, we would take a bus to the museum. With that, we all headed to the limousine bus bay and boarded a bus towards Hamamatsucho Station at 1.10 p.m., with the journey taking only 10 minutes. After that, we arrived at Hamamatsucho Station at 1.20 p.m.. From the bus interchange, we took the elevator up to the JR Line concourse of Hamamatsucho Station, where we went to the ticket vending machines to purchase our train tickets towards Mitaka. We all then went down to the Keihin-Tohoku Negishi Line Track No. 1 towards Tokyo, Ueno and Omiya. As soon as we were on the platform towards Tokyo, an E233-1000 series EMU, operating on the Keihin-Tohoku Negishi Line Rapid Service entered Hamamatsucho Station at 1.49 p.m. on Track No. 1. Immediately, we boarded the train, and were on our way for a short four-minute journey towards Tokyo Station. With the exception of the interior of the train, I took no pictures and videos as this was just a short commuter run between Hamamatsucho and Tokyo Stations. After a short four-minute journey on the Keihin-Tohoku Negishi Line from Hamamatsucho, we finally arrived at Tokyo Station at 1.53 p.m. on Track No. 3. Knowing that we had 12 minutes of layover at Tokyo Station. With that, we made a quick change to the Chuo Main Line platforms of Tokyo Station. On Track No. 1, there was an E233 series EMU operating on the Special Rapid Service bound for Ome via the JR Ome Line. The train was scheduled to depart at 2.05 p.m. from Track No. 1. Without wasting anymore time, we quickly boarded the train and secured some seats in the cabin. At exactly 2.05 p.m., the Special Rapid Service bound for Ome via the JR Chuo Main Line and Ome Line finally pulled out of Tokyo Station for its planned journey time of 1 hour 16 minutes towards the city of Ome. Here are some pictures between Tokyo and Mitaka. After a journey time of 29 minutes from Tokyo Station on the JR Chuo Line Special Rapid Service, we finally arrived at Mitaka Station at 2.34 p.m. on Track No. 4. We alighted the train and went through the ticket gates after the 45-minute journey from Hamamatsucho. As soon as we had exited Mitaka Station, we proceeded to the bus stop located just near the station. A special Studio Ghibli Charter Bus was waiting for us at the bus stop. With that, we immediately boarded the bus and went for a journey time of just five minutes towards the Studio Ghibli Museum. After a short five-minute journey from Mitaka Station, we finally arrived at the Studio Ghibli Museum at 2.45 p.m.. With that, we went to the ticket booth to purchase our day tickets for the Studio Ghibli Museum. With that, we spent the entire afternoon exploring the Studio Ghibli Museum, visiting notable shops, and seeing some comical short clips. After spending the rest of the afternoon at the Studio Ghibli Museum, we informed the tour guides that we would be heading back to downtown Tokyo to do some shopping. The tour guides then thanked us and bade us farewell, since it was already 5.05 p.m.. As my parents did their own shopping around Shinjuku, I decided to go for another visit to Haneda Airport. So, without wasting anymore time, we flagged down a taxi towards Mitaka Station, arriving there at 5.15 p.m.. My itinerary would be to take the Chuo Main Line towards Shinjuku, and then change trains either towards the JR Keihin-Tohoku Negishi Line or Yamanote Line towards Hamamatsucho. Upon arrival at Hamamatsucho Station, I would make another connection towards a Tokyo Monorail Haneda Express train towards Tokyo International Airport. As soon as we had arrived at Mitaka Station, we purchased our tickets towards Shinjuku and Hamamatsucho respectively. With that, we went down towards the JR Chuo Main Line platforms towards Shinjuku and Tokyo. As soon as we were on Tracks No. 5 and 6, a JR Chuo Line Rapid Service arrived at Mitaka Station at 5.15 p.m. on Track No. 6. Immediately, we boarded the train and found some seats for the 18-minute journey to Shinjuku. Once the train pulled out of Shinjuku Station, we were on our way for a 16-minute journey towards the hustle and bustle of Shinjuku in downtown Tokyo. Here are some pictures taken during the journey. After a 18-minute train ride on the JR Chuo Main Line, we finally arrived at Shinjuku Station at 5.33 p.m. on Track No. 8. While my parents and younger brother terminated their journey here, I went over to the JR Yamanote Line Track No. 14 (the outer loop) towards Harajuku and Shinagawa. Just as I was on Track No. 14, an E233 series EMU operating on the JR Yamanote Line outer loop service arrived at Shinjuku Station at 5.42 p.m.. I immediately boarded the train and I left Shinjuku Station for a journey time of 23 minutes towards Hamamatsucho. Since this was just another routine round along the JR Yamanote Line, I didn't any pictures and videos between Shinjuku and Hamamatsucho. After a 23-minute journey from Shinjuku Station on the JR Yamanote Line, I finally arrived at Hamamatsucho Station at 6.05 p.m. on Track No. 2. Knowing that there was little time left for my connections, I immediately headed towards the Tokyo Monorail Haneda Line platforms for the remaining journey towards Haneda Airport. At this time, there were choices of Haneda Express and local trains towards the airport. To make up time, I decided to catch the Haneda Express train bound for Tokyo International Airport, which would depart Hamamatsucho Station at 6.21 p.m..
After a few moments of anticipated waiting, a 6-car Tokyo Monorail 1000 series train, which would later operate the Haneda Express service finally arrived at Hamamatsucho Station at 6.18 p.m.. The passengers on the other side alighted the train first at the alighting platform before the passengers on the departing platform were allowed to board the train. Once all the passengers on the other side had alighted the train, the doors on the departure side opened, allowing us to board the train. In the first carriage towards the Haneda Airport end, I managed to secure a good seating spot just near the driver's cab. This was just in good time for a 6.21 p.m. departure from Hamamatsucho Station. After three minutes of anticipated waiting, the Tokyo Monorail Haneda Express train bound for Tokyo International Airport finally pulled out of Hamamatsucho Station at 6.21 p.m., as planned. The run on the Tokyo Monorail Haneda Express train was a non-stop 16-minute journey between Hamamatsucho and Tokyo International Airport. Nevertheless, these are some pictures during the journey towards Haneda. After a non-stop 16-minute journey from Hamamatsucho in downtown Tokyo, I was finally in the surroundings of Tokyo International Airport at 6.37 p.m.. I then alighted the monorail at Haneda Airport Terminal 1 Station, wanting to shop for some more model aircraft. As soon as I exited Haneda Airport Terminal 1 Station, I went to take the escalators up from the first basement up to the first floor, where JALUX Blue Sky Hobby Model Shop was located. After walking up the escalators from Haneda Airport Terminal 1 Station for approximately five minutes, I was finally in JALUX Blue Sky Hobby Model Shop by 6.45 p.m.. As always, there were various commercial passenger aircraft models on display at the display area of the shop. 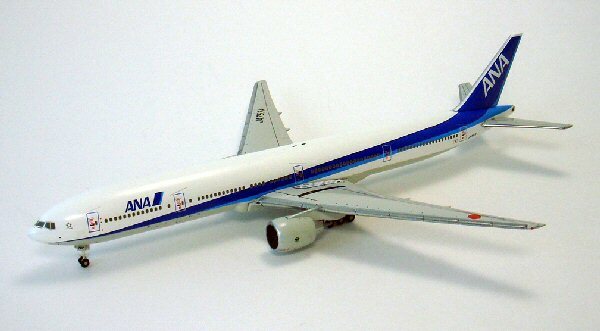 It was truly fascinating to have something like this for commercial passenger aviation fans, like me, in Japan. After spending some time of aircraft model shopping inside JALUX Blue Sky Hobby Model Shop, I felt that there was much more to see around Tokyo International Airport (Haneda Airport). Wanting to see more of the terminals at Haneda, I boarded a free inter-terminal shuttle bus towards the temporary International Passenger Flight Terminal. The airport inter-terminal shuttle bus ride took just a short five minutes. After spending five minutes on the Haneda Airport free inter-terminal shuttle bus, I was at the curbside of the International Terminal at 6.55 p.m.. I then went to have a quick view of what the interior of the terminal was like. The International Terminal was a small passenger terminal that catered to only international charter flights to Beijing, Busan, Hong Kong, Seoul (Gimpo) and Shanghai (Hongqiao). It served as a temporary international terminal at Haneda before the opening of the larger International Terminal on 21 October 2010. The departures and arrivals area were both located on the same level, which made it look like the Tanah Merah Ferry Terminal back in Singapore. The terminal opened its doors when scheduled city-to-city charter flights between Tokyo's Haneda Airport and Seoul's Gimpo International Airport commenced on 29 November 2003. On 21 October 2010, the smaller International Terminal closed its doors, and was replaced by the newer and much larger International Terminal. After a rapid check-out at the International Passenger Flight Terminal at Tokyo's Haneda Airport, I decided to head over to Domestic Flight Terminal 2. With nothing much to see at the International Flight Terminal, I went out to the bus stop to board the free inter-terminal shuttle bus, eventually pulling away from the International Terminal by 7 o' clock for a short five-minute ride towards Domestic Flight Terminal 2. After a short five-minute shuttle bus ride from the International Passenger Flight Terminal, I was finally in the main atrium of Haneda Airport Domestic Terminal 2 at 7.05 p.m.. Wanting to see what was downstairs, I headed down the escalators towards the first floor. After spending my time at Tokyo International Airport (Haneda Airport), I received a text message from my dad, instructing me to meet up with my family at Shinjuku Takashimaya for dinner. With that, I pumped up my energy and headed down towards the first basement floor, where Haneda Airport Terminal 2 Station on the Tokyo Monorail was located. Once I was at the ticketing concourse at Haneda Airport Terminal 2 Station, I purchased my Tokyo Monorail ticket towards Hamamatsucho. During this trip, I had three itineraries to follow. The first part was to take the Tokyo Monorail towards Hamamatsucho, and connect to the JR Keihin-Tohoku Negishi Line or Yamanote Line towards Tokyo. Upon arrival at Tokyo Station, I would connect to the JR Chuo Main Line towards Shinjuku. I then went to one of the station staff to see whether there were any Haneda Express trains left towards Hamamatsucho. To my disappointment, there were no Haneda Express trains from Haneda Airport Terminal 2 after 4.59 p.m. on weekdays. To help, he gave me a small Tokyo Monorail timetable, which I was grateful for. Checking the departure information board, I checked to see which was the fastest train to get to Hamamatsucho. To my relief, there were a choice of Rapid and Local trains towards Hamamatsucho. Knowing that I wanted to get to Hamamatsucho fast, I didn't mind taking the Rapid Service, though it makes three quick stops at Ryutsu Center, Oi-keibajo-mae and Tennozu Isle before arriving at Hamamatsucho terminal. Without wasting anymore time, I went through the ticket gates, and down towards Track No. 1, where the Rapid Service bound for Hamamatsucho would be departing at 7.34 p.m.. On Track No. 1, there was a 6-car 1000 Series EMU operating on the Rapid Service bound for Hamamatsucho. Immediately, I boarded the train and secure a seat on board while awaiting departure towards Hamamatsucho. At exactly 7.34 p.m., the Tokyo Monorail Rapid Service bound for Hamamatsucho finally pulled out of Haneda Airport Terminal 2 Station for its journey time of 21 minutes towards downtown Tokyo. Here are some pictures and videos which will explain the sector between Tokyo International Airport and Hamamatsucho. After a rapid journey time of 21 minutes from Tokyo International Airport, I finally arrived at the Hamamatsucho terminal station at 7.55 p.m. between the two Tokyo Monorail platforms. Once the exit doors swung open, I alighted the train, and took a few pictures of it, including a video of its departure on the Rapid Service bound for Tokyo International Airport. Shortly after filming the video, I immediately headed down towards the JR Line concourse of the station. For the journey between Hamamatsucho and Tokyo, I had a choice whether to take the JR Keihin-Tohoku Negishi Line or the JR Yamanote Line towards Tokyo Station. After approximately five minutes of waiting, a JR Yamanote Line train operating on the Inner Loop service finally arrived at Hamamatsucho Station at 8.12 p.m.. Immediately, I boarded the train and was on my way for a short six-minute journey towards Tokyo Station. Since this was just a routine loop journey, I took no pictures whatsoever. Upon arrival at Tokyo Station at 8.18 p.m., I immediately transferred to a JR Chuo Main Line Rapid Service, which was waiting for departure at 8.26 p.m. from Track No. 1. I made a run for the train very quickly so as not to miss it. At exactly 8.26 p.m., the JR Chuo Main Line Rapid Service finally pulled out of Tokyo Station. I was then on a short 14-minute journey towards the hustle and bustle of Shinjuku Station. After a short 14-minute journey from Tokyo Station, I finally arrived at Shinjuku Station at 8.40 p.m. on Track No. 12. Immediately, I alighted the Rapid Service train, went up to the concourse to exit through the ticket gates, and headed over towards Shinjuku Takashimaya Department Store. As soon as I arrived at the Shinjuku Takashimaya Department Store, I contacted my dad to ask him where they were having dinner. He then told me to come up to a restaurant called Ocean Grill Tokyo, which was located on the thirteenth floor of the department store. Without wasting anymore time, I headed to the main elevator lobby of the department store, and took the elevator all the way up to the 13th floor of the department store, where Ocean Grill Tokyo was located. Upon arrival at Ocean Grill Tokyo, a waiter showed me to a table where my parents and brother were seated. He then gave us the food and beverage menus to decided on our dinner orders. A few minutes later, a waiter came by to take our dinner orders. We ordered several meat and seafood items that might be to our liking. That night, we had a hearty and sumptuous dinner at Ocean Grill Tokyo. After having a hearty and sumptuous dinner at Ocean Grill Tokyo in Shinjuku Takashimaya Department Store, the clock was finally showing 9.40 p.m.. Feeling pretty exhausted after spending our last day being busy travelling around Tokyo, we decided to head back to the Somerset Serviced Apartments Roppongi Tokyo. With that, we paid our bill, and took the elevator down towards the ground floor, where the main entrance was located. Once we exited the department store through the main exit and entrance, we headed towards the taxi stand to get a taxi back to our apartment. By 10 o' clock, we were on a taxi back to our apartment. After a 30-minute journey on the taxi from the Shinjuku Takashimaya Department Store, we finally arrived back at the Somerset Serviced Apartments Roppongi Tokyo at 10.30 p.m.. We then took the elevator back up to our room, which was located on the sixth floor. Once we were back in our apartment room, we had a hot shower and did some packing of our baggage in preparation for the journey back home to Singapore the following day. We were then all in bed by around slightly past midnight. This officially brings the fourth section of my summer vacation in Japan in May & June 2010 to a close. The last segment of the report will be published as soon as I have selected some of the best pictures I have decided on. Well, I still need to publish my posts completely. As I have to plan the pictures and videos carefully, this may take time. Once they are completed, feel free to comment or ask any questions. I'll reply in whatever way I can.